In 1855 Robert Browning wrote the poem, Andrea Del Sarto. The line, less is more, has become an oft-used expression in promoting inner peace and personal focus. This past summer Susie began an ambitious project. Minimize, dejunk, declutter every closet, cupboard, room, and drawer in our house, including the garage. Surely a daunting task for two people who collect much more than we discard. Browning’s less is more became a daily goal. We forced ourselves to commit to rigid goals, a biggie was to reduce our closet by two-thirds. Christmas decorations were the most difficult. “How do we depart from these cherished memories spanning 50 plus years of marriage?” we asked ourselves. An amazing thing happened, as we minimized we experienced the exhilaration that comes with cleaning, organizing, simplifying… were energized. It felt good! My daughter Jennifer had her NBC Camps team read the book Essentialism. It is a good read. 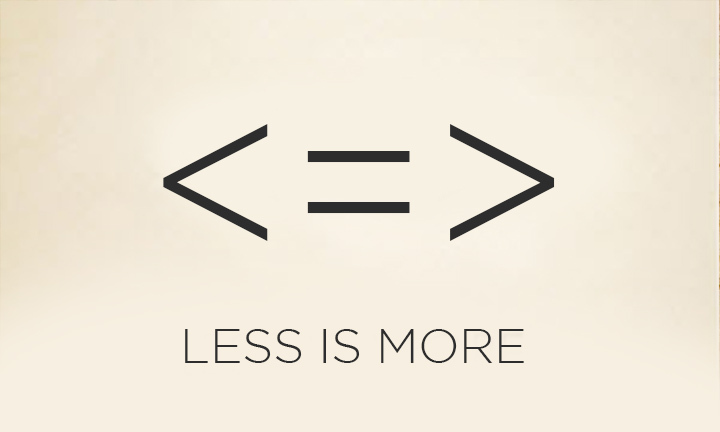 The author changed, less is more to less is better. Same concept. It reinforces the Crowell commitment to live more simply. We are finding a deep sense of peace and joy in living moment by moment in a PSALM 23 state of mind; the Lord is my shepherd I shall not want. It makes perfect sense when we can experience living in the now, the “I shall not want life” becomes heaven on earth.